Our system holds details of car and commercial engines. 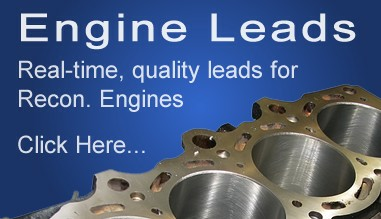 If there are specific engines you're after call us, we may have just what you're looking for. Want Mercedes Sprinter engine enquiries for vehicles after 2005 around Norwich? we can deliver specific leads directly to you before they hit our systems. Call us now on 01795 342010 for more details. We have a no quibble returns policy if the leads are not contactable. See our returns policy for more details. For over 10 years we have delivered hundreds of thousands of quality vehicle parts leads to various garages and workshops around the UK and Europe. Our policy has always been the same, keep the process as simple and as honest as possible. Unlike most of our competitors we only deliver one lead to one garage. Using this system couldn't be easier, just select the leads you want, add them to your cart and check out. The first time you use this system you will be required to set up an account. This only takes a fem minutes. Users of our old system should be able to log into the system as usual.